Chandigarh, 20th March, 2017: Kenstar, one of the preferred premium brands in India, has joined hands for the first time with Mumbai Indians franchise as the official partner for the tenth season of the Indian Premier League. Mumbai Indians has been a consistent and one of the most successful teams in IPL. Having won the 2011 Champions League Twenty20 and the IPL in 2013 and 2015, Mumbai Indians team has showcased their mettle time and again. 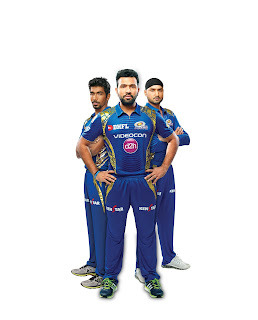 The MI brigade has some acclaimed names from the cricket fraternity such as Rohit Sharma, Lasith Malinga,Kieron Pollard,Mitchell Johnson to name a few, who are known for their powerful performances. Like MI, Kenstar also believes in offering power – packed performance and touching hearts of its patrons through the wide range of product offerings. Kenstar started its journey in India in year 1996. Today, through its 63 Sales & Service offices, 425 service franchisees and more than 10,000 trade partners, Kenstar is close at hand to every family in the country. With an impressive product range (OxyFryer, Microwave Ovens, Air Coolers, Water Heaters, Mixer Grinders, Food Processors & host of other kitchen appliances), Kenstar enjoys the position of being one of the most preferred premium brand in India.